Studies show, that pre-heating cold patch road repair mixes will significantly help in the bonding process and shorten the time of the cure. Results have been unanimous in favor of a pre-heated device to aid in the curing of asphalt, cold patch and other road repair mixes. 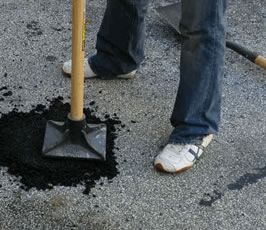 Two methods can be employed when pre-heating cold patch and asphalt mixes. Both methods offer a uniform, directional layer of even heat which will cure and/or pre-heat the mix as needed. The Powerblanket MODEL HB64 HotBox is an Insulated Electric Bulk Material Portable Oven. HotBox is 64 cu ft (4’x4’x4′), 120 Volt, 1440 Watt, 12.0 Amp, and features a patented heat spreading technology and structured box design creating a 64 cu.ft. controlled environment that rapidly heats temperature sensitive materials including bagged asphalt, paint, caulking, epoxy, resins, food products, and palletized drums & buckets. The HB64 includes Adjustable Thermostatic Controller and Adjustable Straps. Ideal for Warehouses, Construction and Job Sites. Powerblanket’s Multi-Duty (MD) line of heated ground thawing and concrete/asphalt curing blankets are the ideal choice for any cold weather construction project requiring thaw and cure (medium heat) capabilities. Thaw frozen ground prior to digging and trenching. Effective curing of bridge decks, tilt-up, precast, block walls, footings, flatwork, cold patch, and much more. 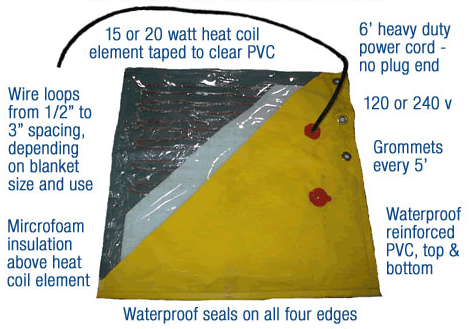 May we recommend the Powerblanket EH series (Extra-Hot) for extreme cold locations or where extra heat is needed to cure or thaw materials quickly! 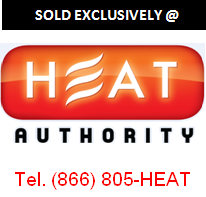 Call (866) 805-HEAT or purchase online at HEAT AUTHORITY. HOW THEY WORK: CureMAX™ blankets do not require a thermostat. Temperature beneath the blanket will consistently be 50°F to 60°F above ambient outdoor air temperature. 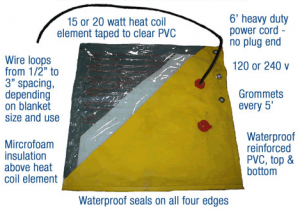 Tarps or insulated curing blankets placed over the top of CureMAX™ will increase the temperature under the blanket on average an additional 10°F to 15°F. For example, when outdoor temperatures are 10°F… you can expect CureMAX™ to be @ 60°F to 70°F under the blanket. Add an insulated tarp or blanket on top and the temperature will raise another 10 degrees. CureMAX™ heated blankets are constructed of tough reinforced PVC, grommeted around the perimeter, insulation is provided by a closed cell microfoam which keeps the heat directed to the ground or wall, and all edges are sealed to keep out the elements. These durable blankets are reusable, roll easily and store compactly, ready for the next storm. With CureMAX™, you can be assured that your most temperature-sensitive materials will be safe and protected at all times in the coldest climates whether you’re heating, thawing, curing or insulating. CALL (866) 805-HEAT FOR BULK PRICING AND AVAILABILITY!